The Red Door is right in the center of the Fremont neighborhood. 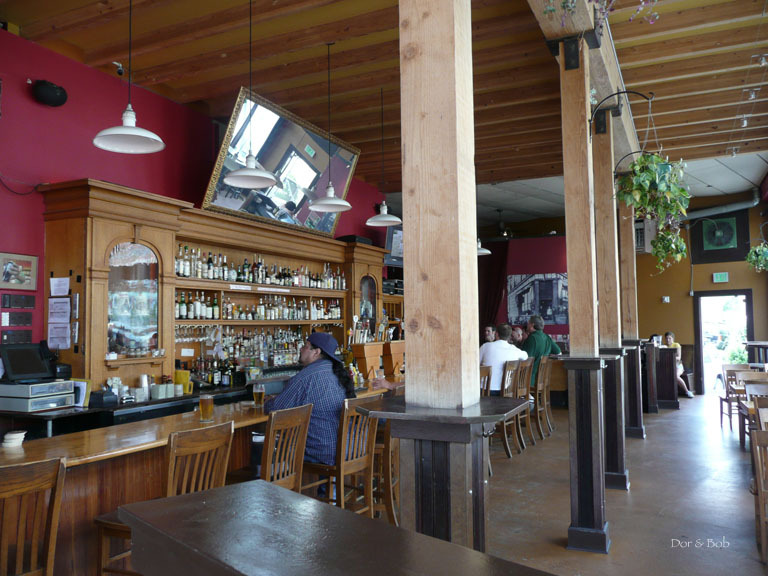 It was originally located one block to the east in an historic building and was formerly the Fremont Tavern and a drugstore (great historic photo in the bar area). They did a good job of retaining the original comfortable eclectic feel (and the â€œFremontâ€ stained glass window from the former Fremont Tavern). The entrance door (yes, itâ€™s red) is up half a flight of stairs from the street. On the left is the family dining area and the outside tables (on top of a parking garage, itâ€™s a nice, large outside area with umbrellas and some trees). On the right is the large bar area. The bar back is a lovely light colored oak and there is a large mirror tilting down up above (reminiscent of an old-time saloon?). The bar itself has oak bar chairs along its long length. Otherwise, there are quite a few wooden tables and chairs and tall large windows that open wide in summer, giving great air flow. Fairly loud music plays in the background and there are a couple TVs. 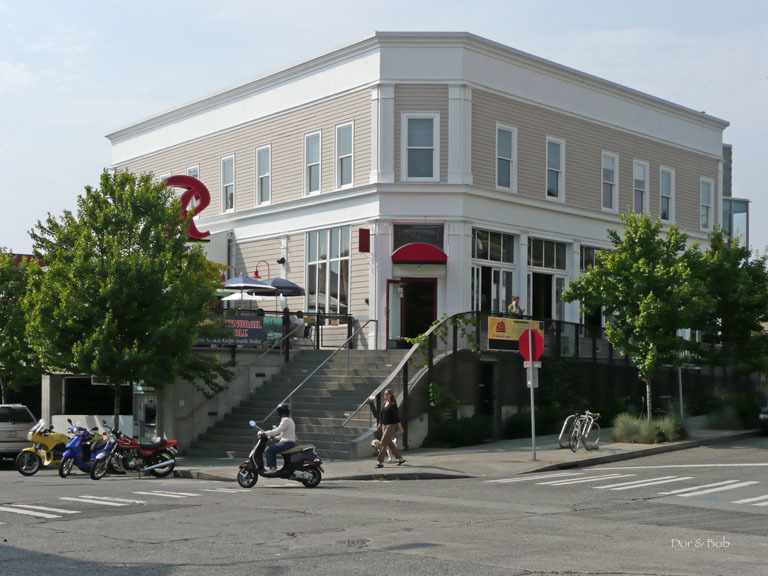 Also out front is a classic red neon â€œRâ€ (Rainier) sign from the former Seattle brewery. Not really a great microbrewery token, but fun and part of Seattle history. 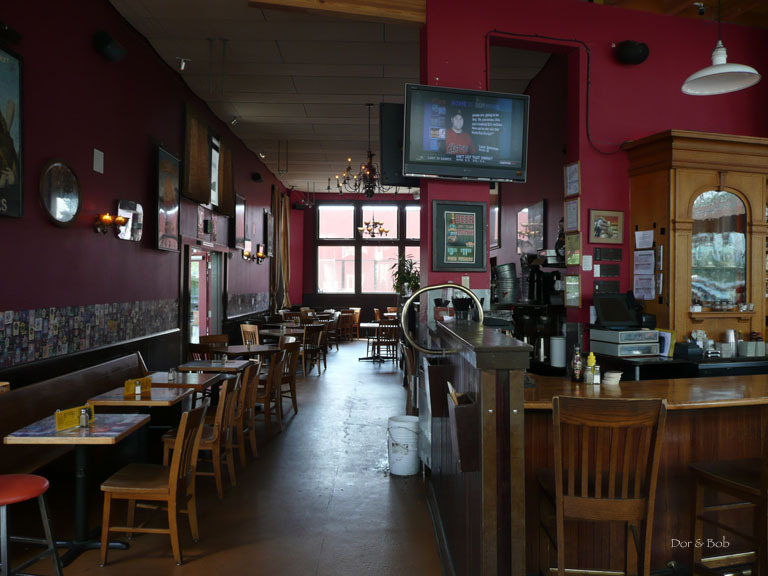 The Red Door, which opened in the mid 1980's, was one of the few early places in Seattle where you could find and drink a microbrewery beer on tap and they still have a good beer selection. Itâ€™s not quite stellar (still a number of more mainstream beers such as Rainier, Stella Artois, and Guinness), but itâ€™s worth a visit. The prices are good, especially on the beer of the month ($3.75), and at happy hour.